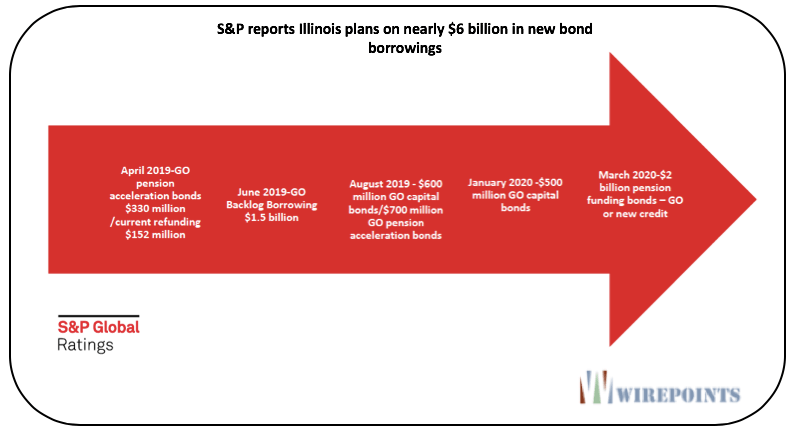 The question is, “when will too much debt finally be too much?” As the Wall Street Journal recently reported, Illinois already contributes more than 25% of state revenues toward pensions and other debt, and it would jump to over 50% if Illinois paid the proper amounts. Illinois’ is the nation’s extreme outlier when it comes to too much debt and you have to wonder how far the state can push it before the game ends. But the good markets can’t be expected to last forever, though. Expect more eyebrows to be raised as the debt load gets bigger and the markets get dicier.